Go to… Go to… Home Featured Listings - Open Houses Search for Homes - Advanced Search - Map Search - Foreclosures - Commercial Search - Cambridge MD Homes - Cambridge MD Waterfront Homes - Dorchester County MD Homes - Dorchester County MD Waterfront Homes - Hoopers Island MD Homes, Lots, Land, & Manufactured - Church Creek MD Homes & Lots - Fishing Creek MD Homes, Lots, & Mobile Homes - Cambridge Homes under $250,000 - Cambridge MD Homes from $250,000 to $500,000 - Cambridge Homes over $500,000 Buyer/Seller Info - Mortgage Rates - Schools - Relocation - Weather Join Our Team About Me - My Blog - Testimonials Contact Me - Dream Home Finder - FREE Market Report for Cambridge MD Waterfront Real Estate - Real Estate News!!! 26 Acre waterfront gentlemans farm, 2 story farm house, 2 acre stocked lake w/ pier, LG 38X78 2 story barn w/concrete floor, 30X50 Pole barn, 2 car 26X30 detached garage, view of Chesapeake Bay. Walking distance of Old Saltys located on beautiful Hoopers Island. Sika & white tail deer, turkeys, geese, ducks, bald eagles abound! Bring your horses, Gorges sunsets over Tar Bay! Potential for owner financing. 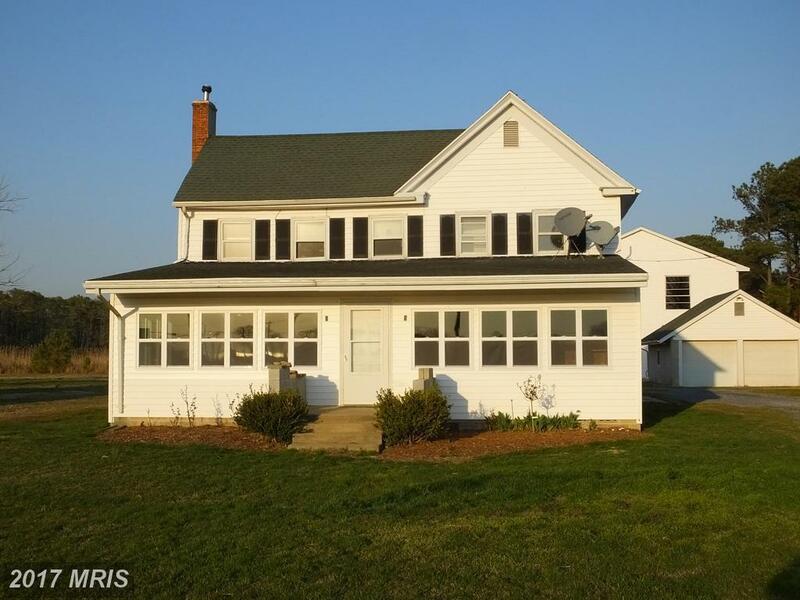 Farm Remarks: 26 Acre waterfront gentlemans farm, 2 story farm house, 2 acre stocked lake w/ pier, LG 38X78 2 story barn w/concrete floor, 30X50 Pole barn, 2 car 26X30 detached garage, view of Chesapeake Bay. Walking distance of Old Saltys located on beautiful Hoopers Island. Sika & white tail deer, turkeys, geese, ducks, bald eagles abound! Bring your horses, Gorges sunsets over Tar Bay! Potential for owner financing. Home | Open Houses | Search for Homes | Advanced Search | Map Search | Foreclosures | Commercial Search | Cambridge MD Homes | Dorchester County MD Homes | Fishing Creek MD Homes, Lots, & Mobile Homes | Dorchester County MD Waterfront Homes | Hoopers Island MD Homes, Lots, Land, & Manufactured | Mortgage Rates | Buyer/Seller Info | About Me | My Blog | Contact Me | FREE Market Report for Cambridge MD Waterfront Real Estate | Real Estate News!!! © 2019 BRIGHT, All Rights Reserved. Information deemed reliable but not guaranteed. The data relating to real estate for sale on this website appears in part through the BRIGHT Internet Data Exchange program, a voluntary cooperative exchange of property listing data between licensed real estate brokerage firms in which EXIT On The Bay Realty participates, and is provided by BRIGHT through a licensing agreement. Real estate listings held by brokerage firms other than EXIT On The Bay Realty are marked with the IDX logo and detailed information about each listing includes the name of the listing broker. The information provided by this website is for the personal, non-commercial use of consumers and may not be used for any purpose other than to identify prospective properties consumers may be interested in purchasing. Some properties which appear for sale on this website may no longer be available because they are under contract, have Closed or are no longer being offered for sale. Some real estate firms do not participate in IDX and their listings do not appear on this website. Some properties listed with participating firms do not appear on this website at the request of the seller. Data last updated on 2018-05-30.